“Het up. Deleted. The end. Though of course not the end,” Nancy Rommelmann says. 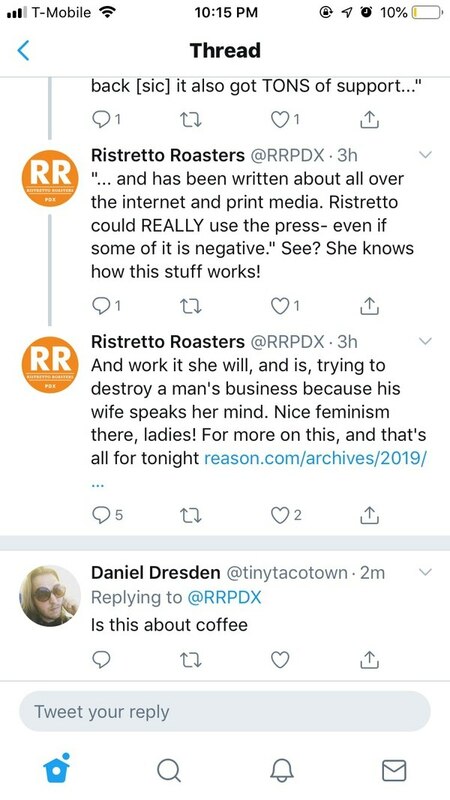 Portland coffee chain Ristretto Roasters has been in hot water since earlier this month, when owner Din Johnson's wife, local author Nancy Rommelmann, started a video series that discredited the accounts of some prominent sexual assault survivors. The videos prompted an open letter from current and former employees, denouncing the views expressed on the YouTube channel and voicing concern for a potential "demoralizing and hostile environment." 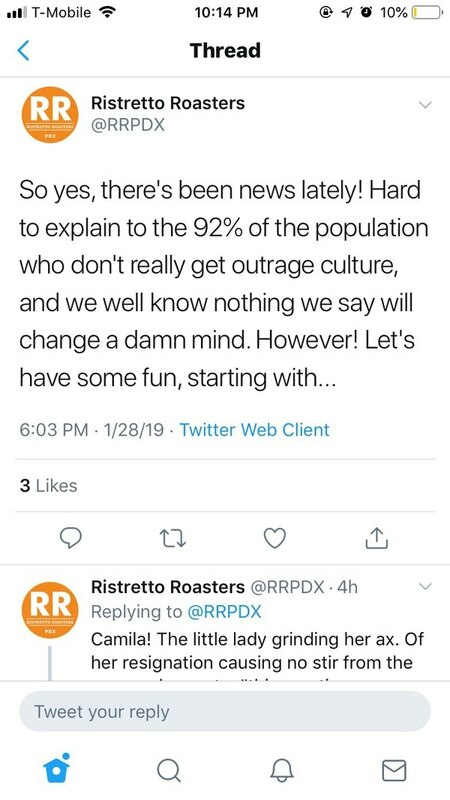 In response to the outrage, last night Rommelmann logged on to the Ristretto Roasters Twitter account to snap at critics. When asked who was responsible for the tweets, Rommelmann tells WW in an email, "Me. Het up. Deleted. The end. Though of course not the end." The thread, which has since been deleted, was first reported by The Portland Mercury. Screen captures of the tweets were recorded by WW. To start, Rommelmann, writing from the Ristretto account, expresses frustration with "outrage culture," and says, "we well know nothing we say will change a damn mind. However! Let's have some fun." She goes on to single out Camila Coddou, a former employee and the person who initiated the open letter, "the little lady grinding her ax." 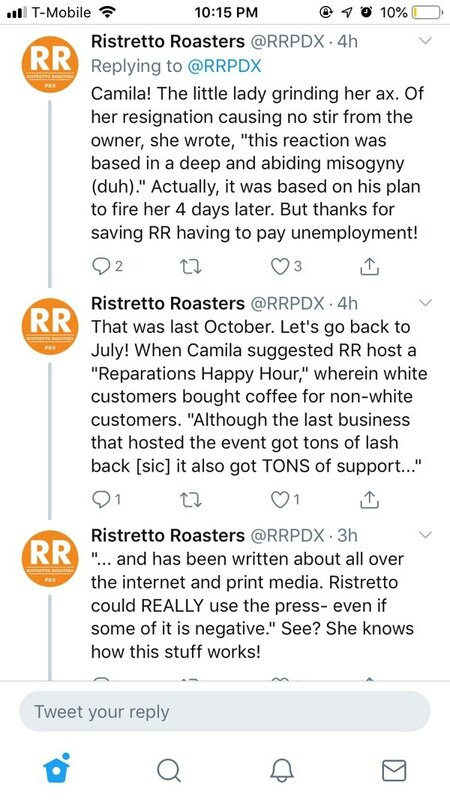 She claims Coddou was about to be fired four days before she quit, and points to Coddou's attempts to have Ristretto host a "Reparations Happy Hour" as a source of conflict. 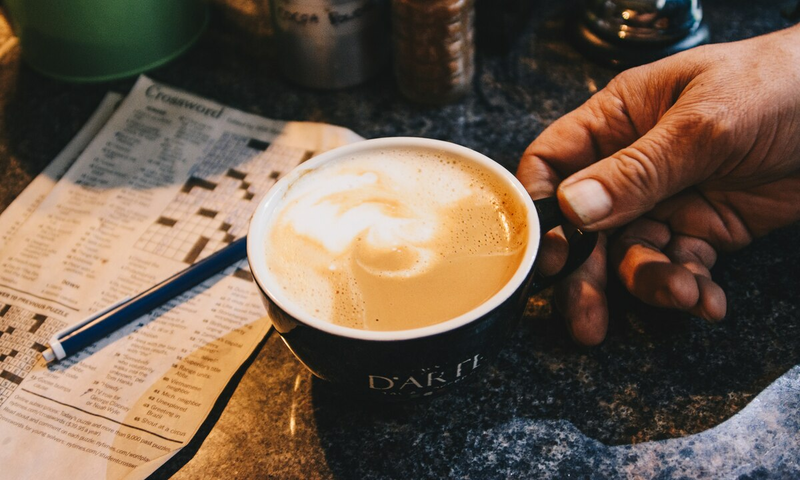 Coddou says she found the Ristretto Twitter attack bewildering. "I don't really understand her motivation," Coddou tells WW. "Clearly there was some unresolved stuff regarding my departure. Part of it is that I've been quoted most heavily [about the video series]. I was an easy target." She adds of the Reparations Happy Hour, an event where people of color gather, sponsored by white donors, "I was interested and I thought it would be cool for Ristretto to host it. The response was unequivocally 'no way.' That was really it." Although she was tweeting anonymously from the Ristretto account, Rommelmann still says she shouldn't be tied to Johnson's company. "It's a very small business, I helped him open it, and sat in on meetings, but I don't anymore, geez," Rommelmann says. "I was on book tour most of last year." She adds the video series, which is co-hosted by New York-based journalist Leah McSweeny, "obviously made us wildly unpopular in a short period of time, and for which my husband is paying the price." "In his second letter to staff," she says, "I made him include, 'If you want to be mad at someone, go be mad at Nancy!' I invite you all to do the same."